The former American Skiing Company has been pushing the controversial transmission project while attempting to redevelop the defunct resort. Testifying before the New Hampshire Site Evaluation Committee, Les Otten came under questioning for his involvement in the controversial Northern Pass transmission project. Speaking as Northern Pass owner Eversource's final witness yesterday, Otten confirmed that he received a $5 million loan from the project in February 2016 for his Balsams project. When asked if he was required to testify on behalf of the project in exchange for the funding, Otten agreed, according to InDepthNH.org. Previously, in March 2016 Otten testified, "Northern Pass, through the Forward New Hampshire Fund, has invested $2 million in our project without strings." Otten also acknowledged speaking with Eversource President Gary Long in 2014. 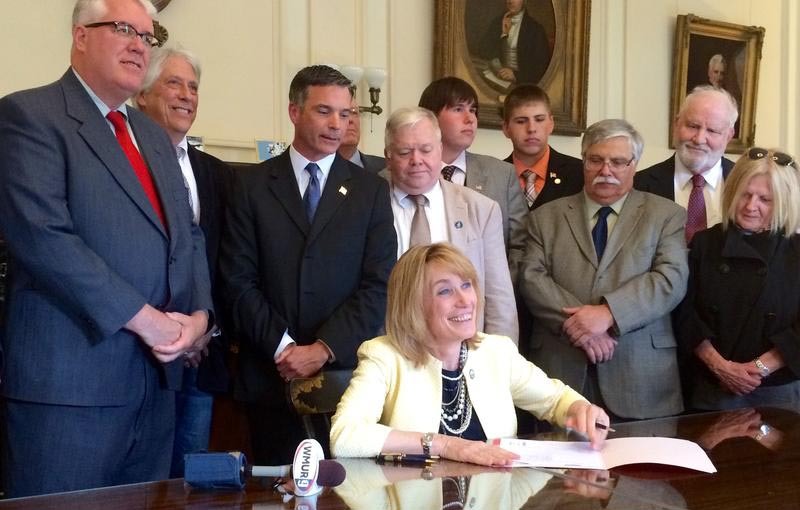 In January 2014, Otten formed Dixville LLC as a Maine business entity. 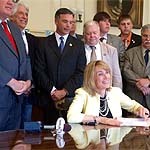 In May 2015, with Otten standing behind her, then New Hampshire Governor Maggie Hassan signed SB30, enabling up to $30 million in taxpayer backed bonds for the project. The transmission line, proposed to run 192 miles from Canada through New Hampshire, is a wholly owned subsidiary of Eversource (previously known as Northeast Utilities and Public Service of New Hampshire). A large opposition movement has emerged, citing environmental, visual, and eminent domain concerns. Years ago, Northern Pass reportedly offered to purchase the Balsams for $3 million, however the Tillotson Corporation sold the shuttered resort to Balsams View, LLC for $2.3 million in 2011. The Society for the Protection of New Hampshire Forests then used anti-Northern Pass funds to purchase an $850,000 easement from the new owners, claiming it would block the transmission line. The new ownership subsequently auctioned 2,400 resort assets to generate funds. In late 2015, the directors of the Society for the Protection of New Hampshire Forests unanimously approved to waive its "restrictions that will forever protect the working forest" to allow the Balsams expansion to take place. Developers blamed SB30 for missing a June 1, 2015 groundbreaking. The project was delayed again during that summer with a new groundbreaking date set for fall 2015. Subsequently, a June 1, 2016 groundbreaking date was suggested. When that goal was missed, a fall 2016 groundbreaking date was disclosed, "certainly starting work this year ." An October 2017 groundbreaking was most recently suggested.